A pocket-sized blade that pierces and slices with ease can be quite handy. For those situations when the zombie hunter is cornered, it becomes priceless. 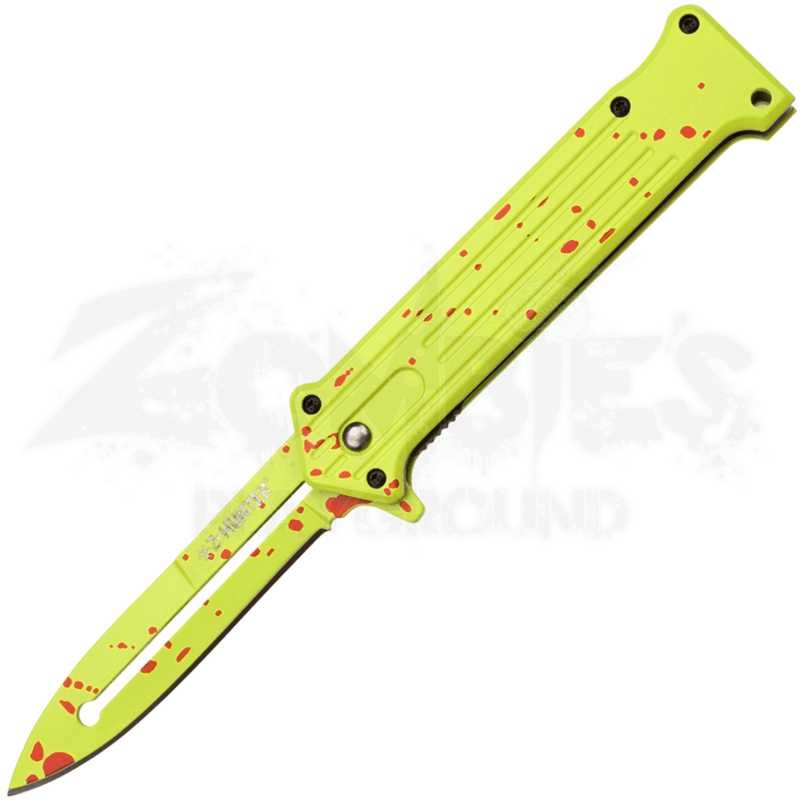 Slice your way out of tight spots with the Zombie Splatter Pocketknife. A versatile utility folding knife designed for slicing through everyday survival tasks as well as the occasional zombie that catches you unaware. The durable steel blade with spring assist allows the quick-thinking zombie hunter to attack with swift, piercing power. 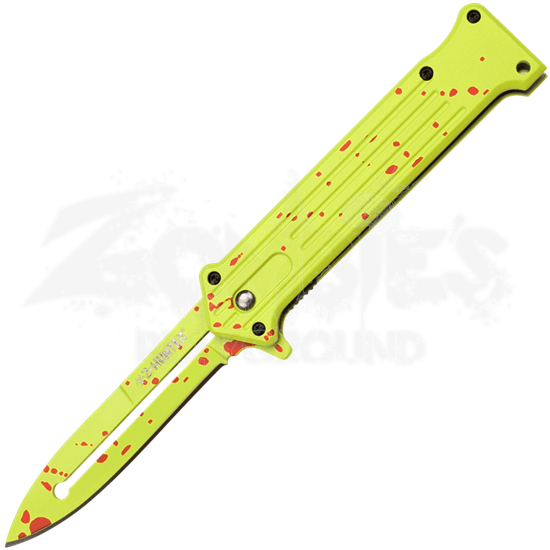 Gruesomely styled for the zombie enthusiast, red blood splatters contrast dreadfully with green spray paint from the blade to the aluminum handle.